This Report examines the performance and economic role of international tourism sector in D-8 countries in the latest five-year period for which the data are available. After introduction, Chapter 2 of the Report looks at selected international tourism statistics from a global perspective to set the stage. Chapter 3 of the Report focuses on D-8 countries and assesses the state of the tourism sector in terms of tourist arrivals, tourism receipts, economic role of international tourism and intra D-8 tourism. Chapter 4 of the Report elaborates the concept of “Islamic Tourism”, as a new direction in the tourism sector in D-8 countries with a great potential for sustainable growth and significant contribution to the development of the overall tourism sector in these countries. Chapter 5 of the Report finally summarizes the challenges ahead of the tourism sector in D-8 countries and proposes some recommendations to serve as broad policy guidelines to overcome these challenges. This report looks at the status of cancer in a comparative perspective. Based on the latest available data on new cancer cases diagnosed and deaths caused by the cancer, Section 2 of the report provides a detailed comparative analysis of burden of cancer in OIC countries. Section 3 of the report focuses at cancer prevention and control by taking stock of existing national capacities and policies to identify the major gaps in prevention, monitoring and surveillance, early detection, and control and cure of cancer in OIC countries. Section 4 gives a brief account of recent multilateral initiatives at both intra-OIC and international level to combat cancer. The report concludes with policy recommendations aiming to enhance the implementation of interventions at both national and intra-OIC and international cooperation level to prevent and control the incidence of cancers in OIC countries. SESRIC prepared and submitted a background report on youth titled “Key Challenges of Youth in OIC Countries” to the 3rd Session of Islamic Conference of Youth and Sports Ministers that took place on 5-7 October 2016, Istanbul, Turkey. 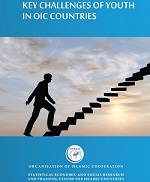 Based on the most recent available statistical data, the Report reveals the key challenges of youth in OIC Member States in comparative perspective and reviews the existing trends in youth education, employment, inclusion and health in OIC Member States. The Report also provides concrete policy-recommendations to policy-makers at both the individual country level and OIC cooperation level in addressing the key challenges of youth with a view to ensure their full and equal participation into socio-economic life as well as to the development process of their respective countries. SESRIC prepared and submitted a background report on gender issues titled “State of Gender in OIC Countries: Prospects and Challenges” to the Sixth Session of the Ministerial Conference on the Role of Women in the Development of OIC Member States that took place on 1-3 November 2016, Istanbul, Turkey. 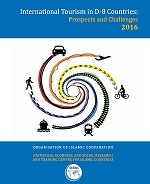 Based on the most recent available statistical data, the Report reveals the key challenges of women in OIC Member States in comparative perspective and analytically measures the progress achieved by OIC Member States in terms of empowerment of women in various aspects of the socio-economic life. In details, the Report reviews the existing trends in education, health, violence, social security and decision-making issues from a gender perspective in OIC Member States. The Report further elaborates the role of NGOs in addressing gender issues with a specific focus on OIC Member States. 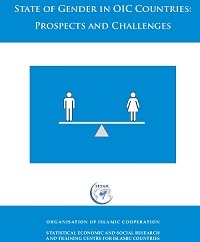 The Report finally provides concrete policy-recommendations to policy-makers both at the individual country level and OIC cooperation level in addressing the key challenges of women with a view to ensure their full and equal participation into the socio-economic life as well as to the development process of their respective countries. The Syria conflict has triggered the world's largest humanitarian crisis since the World War II. 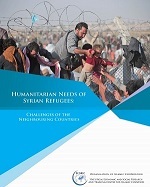 Humanitarian needs continue to climb up, population displacements are increasing, and an entire generation of children is being exposed to war and violence, increasingly deprived of basic services, education and protection. The total number of people in need of humanitarian assistance in Syria has reached 13.5 million, approximately 6.5 million of whom are internally displaced. During the on-going internal war in Syria, insecurity, violence and collapsed infrastructure forced Syrian people to flee from their home. Around 4.8 million of Syrian people fled to neighbouring countries, with women and children making up three-quarters of the refugee population. Since early 1990s, Turkey has shown a significant potential to play a lead role in South-South cooperation within the group of the developing countries. Over the last two decades, Turkey has become a significant foreign aid provider and accumulated substantial development experience, know-how and technology to be shared with other developing countries, particularly with the OIC member countries. Turkey is willing to share and transfer its accumulated knowledge and best practices through South-South cooperation programmes with other IDB member countries.